International Monetary Fund (IMF) Chair Christine Lagarde has called for central banks to consider the possibility of issuing Central Banks Digital Currencies (CBDC), describing them as potential tools of financial inclusion and consumer protection. While speaking at the Singapore Fintech Festival on Nov. 14, the renowned economist praised digital currencies in a marked departure from the IMF’s usual disposition toward digital assets, sparking hopes that financial regulators and institutions around the world are coming closer to finding a framework to support widespread cryptocurrency adoption. In a prepared speech, Lagarde stated that CBDCs can reduce the risk of global financial instability by eliminating the psychological motivation behind a bank run. According to her, whereas during a bank run, customers hurry to make withdrawals because they believe that the bank’s funds will be irreparably depleted in they do not make it there in time, CBDCs remove this risk by enabling the distribution of money in a manner that far outstrips cash in terms of geographical reach, speed and security. In her opinion, the issue of state-backed digital currencies would be in line with the expectations of modern consumers who increasingly expect money to not only be secure and easily usable like conventional cash but also to be easily integrated with social media. The benefits of the technology she said, far outstrip any potential pitfalls and it also provides a broad framework to mitigate the risks it creates. Following her speech at the event, a 39-page IMF report on CBDCs was launched. Changing Times at the IMF? Lagarde’s pronunciation comes as a significant surprise at a time when the IMF is currently involved in a tussle with the Marshall Islands over the country’s controversial plan to float a sovereign ICO and issue a national cryptocurrency. Earlier this week, the organization effectively threatened the small Pacific country with an international aid blockade if it pushes through with its plan. 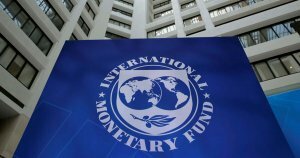 Prior to this week’s events, the IMF also released a report in September recommending against the issuance of a state-backed cryptocurrency in the Marshall Islands, stating that such a move would threaten the country’s economic link to the U.S. by jeopardizing its correspondent banking relationship with its large neighbor. While it should be noted that cryptocurrencies and state-backed digital currencies may not necessarily be the same thing, Lagarde’s latest comments are certainly noteworthy. This is due to the fact that they, for the first time, indicate cryptocurrencies and digital assets are being seriously considered rather than being fought against at the highest levels of international finance and regulatory circles. According to Lagarde, the best way to implement a CBDC framework would be through a public-private partnership that would leave the central bank to focus on back-end settlement and empower financial institutions to carry out client interfacing and innovation. In her opinion, the implementation of CBDCs would also be a significant boon to poorer regions of the world currently left underserved by the existing banking paradigm. The post IMF Chief Calls for Central Banks to Consider Issuing Digital Currencies appeared first on CryptoSlate.